If we want to do anything important and meaningful in life, at some point we will have to face and overcome our fears. Whether it’s stretching into new levels in our career, or taking a risk in a relationship, it is impossible to live a life that doesn’t involve confronting feelings of fear. There is a difference between living a ‘fearless’ life and living a ‘brave’ life. One concept assumes that we don’t really feel scared & can just “power through”, while the other accepts that sometimes something is terrifying but important to confront. In order to set our children up for future success, we need to teach them how to embrace courage. We all reward the behavior we want our children to repeat. But so many times we only use reward for “good behavior” like having manners, or studying hard for an exam. By using this same principle of reward, we can create focus, meaningful conversation and positive experiences around being brave. 1. Find something that is a reward for them. For younger children, this may be a sticker chart or small reward. For older children it may be more media allowance or wifi privileges. 2. Identify the specific situation or event that genuinely scares them. Identifying what is scaring your child is not always straight-forward. Sometimes they tell us exactly what they’re fearful of & why. Other times we need to look at what situations or people are causing a change in mood; a demonstration of anxious behavior, or outright resistance. 3. Use the reward every time they choose courage in the face of fear. For every small step that take towards choosing courage over fear, reward them. Overtly praise them, encourage them & tell them you’re proud of them because they chosen to be brave, even though they were scared. We want to celebrate progress, even if they still haven’t been able to take the full step yet. If you child struggles with anxiety & is particularly fearful about specific situations, start small. Don’t start with the big things that cause overwhelming anxiety. Genuine fears must be overcome through a step-by-step process, not one big jump. 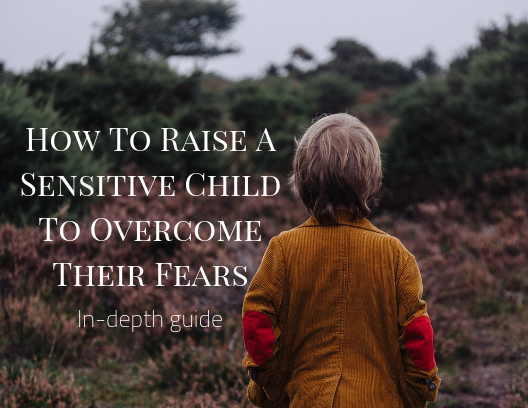 As you implement this simple strategy over time, you will teach your child that choosing to be brave isn’t an absence of feelings of fear, but rather the choice to act despite our feelings. You will also give them the gift of small mastery experiences, so that when they come up against a ‘big one’ that is really scary for them, they will have a resource of personal memories to draw on, that confirms the positivity in choosing courage.